If you want to play poker on one of the best looking, easiest to play app, then consider this excellent app from bwin poker. It's got style, speed and is bags of fun! 2. Once joined, on the main menu click on download app. 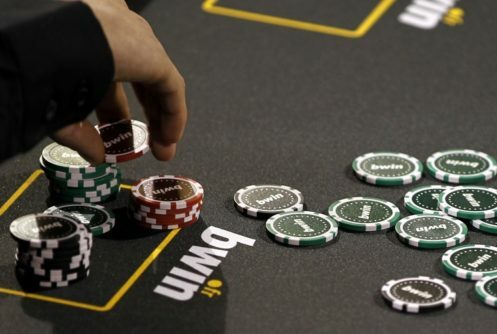 bwin is a household name and a formidable gambling force in Europe. Their poker segment, also one of the best the world over, offers a wide array of games that include Texas Hold’em, Stud, Omaha and No-Limit Hold’em at varying stakes. The best news is that you can get all this on the new bwin poker app. Available for Android, mobile & iOS users! We love playing poker on the bwin app and we are sure you will to! bwin have regular new customer offers available when you join at www.poker.bwin.com It’s quick to sign up and you can register without card details if you wish to play for fun. Offers and bonus amounts do change regularly so see bwin poker mobile site or website for the most up to date promotions. It is not just new customers who can feel like a VIP. There are regular special offers, tournament, free plays and more available to all customers. Experienced sharks and new fish will love playing on the bwin mobile poker app. 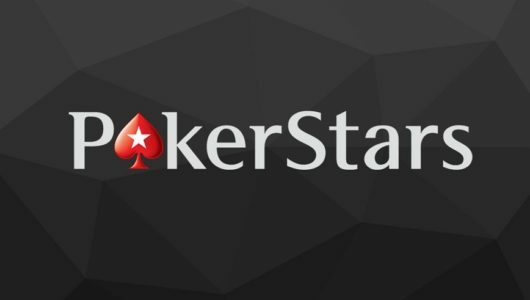 This poker operator have produced one of the most popular, most downloaded apps on the market and it’s easy to see why so many players use it. Downloading the app into iOS devices – Players can download the bwin poker app from either the website or via the Apple App Store – iTunes. Register on bwin’s poker site then follow the quick link to initiate a download and install as you would any other iOS app. Downloading the app into Android devices – Our quick guide above should get you to where you want to go, but just in case……………register first, then head over to the menu and find Download App. Press it and go to the page of bwin poker that has a link that invites you to download the app as an APK (Android Package) file. Click on this link to initiate the download process. You may need to tweak your settings so that your device can accept this file since it comes from an ‘unknown’ source. Once you are through downloading it, click on install from the notifications to complete the process. Why play on the bwin poker app? bwin may not be the biggest gambling name in the UK but in many countries in Europe, they are number 1. 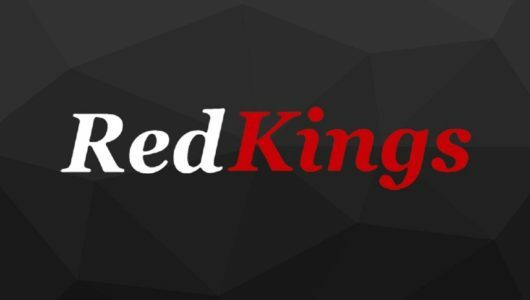 They are huge and have spent a lot of money developing their poker app to make it the extremely enjoyable app it is today. bwin have a great reputation among players and you know that when you use bwin, you are in safe hands. 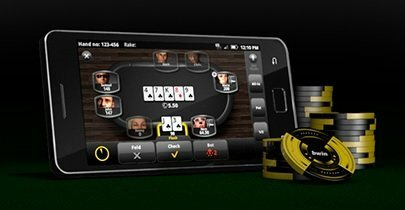 The poker app from bwin also has a unique game called Fast Forward poker that we thoroughly enjoy playing as it is fast paced and never dull. bwin have one of the biggest player pools going so you should never be short to find a table or fellow players. There are some very good players at bwin poker and on the flip side, there are some very new, in experienced players for you to play. It’s a matter of trying the tables, checking out the competition and seeing what works best for you. The application gets regular updates and bwin are always looking to improve the platform. It has got faster, safer and with added games like Fast Forward poker, even better. We love how easy it is to deposit to our wallet and more importantly, how easy it is to withdraw winnings. You get the feeling you are playing a full desktop version of the game, it is that good! The main gripe we hear is that they are a lot of inexperienced players on the app, now for us that is a good thing not a bad thing! It is far easier to win, and win big playing a table full of newbies than playing a table full of pro players. Like all of the bwin mobile apps, the design of their poker app is very classy. The overall colours on the app are the black background with yellow base colours and grey. This works very well on the app and we think the design is one of the best going. Once you have downloaded the poker app from bwin (Android or iOS) you can log in and enter the lobby. The app does provide you the choice of real money (Cash) games or a practice or play mode. This is always a good feature on an app as you want to get used to how it works and how to find your way around. To switch between real money or play mode, use the toggle button located near the bottom of the page on the app. Another top feature is called preview. Now you won’t find this on many other apps. Essentially it guides you through how to play a game of Texas Hold’em. Well worth a look in to if you are new to the poker arena. The interface on the app is very easy to use and design wise, it is very spot on. The lobby of the app is well set out and it is easy to find your way around. At the bottom of the screen is a quick view of players and tables, so you can see how busy it is. There is also icons next to it to show how many games you are involved in. This simple, easy on the eye design is perfect as it doesn’t distract you from playing. Use the menu to find your game from cash games, FastForward, tournaments, sit and go or sit and go hero. You can then filter by buy in and also see table information including prize pool and seat information. When you narrow down your table, add your buy in and take a seat. The app will automatically display your best hand to help you evaluate your chances of winning. If you get a call or have to leave the app, there is one-click sit-in which can get you back in the game if you are ever interrupted by an incoming call or have switched app. 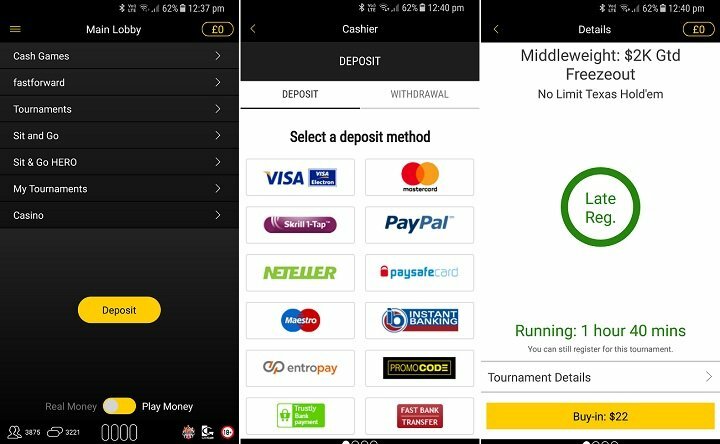 The bwin poker app also give you full account access where you can check your player details, table and balance info on login, with quick access to the cashier. As well as poker, the bwin mobile poker app also lets you access bwin’s mobile casino. 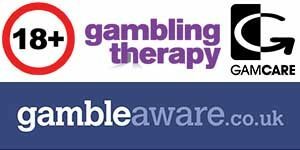 There are lot’s of really good games available on the app including slots, roulette, blackjack, live casino & table games. It is good to be able to jump between the two sections as time waiting in between games can seem a lifetime so we like to kill some time on the slots over in the casino. 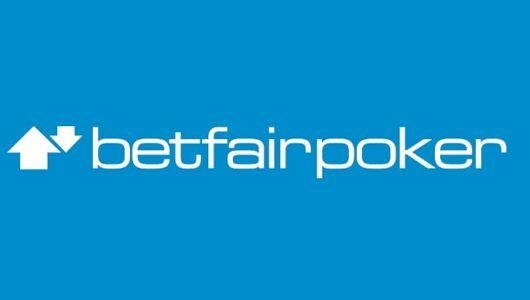 The bwin Android & iOS poker app let you access a wide range of game types including – Join Sit and Go’s or cash tables and a unique game to bwin called – FastForward. This is the turbo-charged way to play cash games where the action is always on you. If you don’t like your cards, you can simply Fast forward to a new hand at the click of a button. This gives you more hands, more action and ultimately more fun. You don’t even have to wait for the action to come to you. If you don’t want to play a hand, simply press the ‘Forward Fold’ button and you’ll instantly be dealt into a new hand. Players at your table won’t even know you have folded until it’s your turn to act. The app also supports Sit & Go Hero Tournaments. With these games you can play and win big from as little as $1 with total prizes worth up to 10,000 times your buy-in. You can also play Multi-Table Tournaments (MTT’s). Just choose your game from the extended Lobby, including Regulars, Majors, Qualifiers and Freerolls. There are also standard Sit and Go’s where you get to play thousands of Texas Hold ‘em tables with low to high stakes to suit the game you’re looking for. Minimum deposits start at £10 and take a few minutes to appear in your account. Withdrawals can take from 24 hours to 5 days depending on your method. US Dollar, Euro, UK Pound Sterling, Danish Krone, Swedish Krona, Polish Zloty, Czech Koruna, Romanian Lei, Hungarian Forint, Russian Ruble, Bulgarian Lev. New customers to bwin poker (app and website/desktop software) can regulatory get an extra new customer bonuses as well as offers for existing customers. See www.poker.bwin.com for the most up to date offers available. bwin normally have some of the best in the business. These change regulatory and also vary depending on which country you are in so check at bwin poker for the most recent offers. This app will run on more phones and tablets, not just those listed above. To check full compatibility, head to the site, download the app and try it on your device. To conclude on the bwin poker app…………we like it. A lot. It is simple in deign which we like, reliable and being part of the bwin network, never short of fellow players. Competition levels are good and the tournaments are among some of the best we have played in. Try them for yourself and see what you think. William Hill 90% Rating Play! Information, reviews & download guide to all the best real money poker apps available for Android users. APK’s for all the biggest bingo providers & loads of free bonus offers. Poker App Guide Copyright © 2019 All Rights Reserved.